President, Lifespan Physician Group, Inc.
Steven Lampert, MD, MBA is president of Lifespan Physician Group, the largest multi-specialty practice in Rhode Island. He leads its more than 950 physicians and employees in providing outstanding, value-based, innovative care. He is also a clinical assistant professor of medicine at The Warren Alpert Medical School of Brown University. A seasoned physician-executive, Dr. Lampert came to Lifespan after more than 20 years in leadership positions with Harvard Vanguard Medical Associates and Atrius Health. He is known for his deep commitment to providing the best and safest care for patients. Dr. Lampert earned his medical degree at University of Vermont College of Medicine, followed by a residency at St. Luke’s Hospital in New York and fellowship training in cardiology at Brigham & Women’s Hospital and Harvard Vanguard School of Public Health. In 1999, Boston University Graduate School of Management awarded him a master's of business administration degree. Juan Carlos Bellido, JD is associate general counsel for Lifespan, providing transactional and legal guidance for the Lifespan Physician Group, Inc. and the Lifespan hospitals. Bellido received his law degree from Suffolk University Law School in Boston. He joined Lifespan in 2007. Previously, he served as in-house corporate counsel for an independent clinical laboratory in Hamilton, NJ. In 2012, he helped design and build the organizational structure of the Lifespan Physician Group. 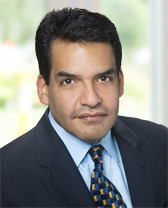 In his role at Lifespan, Bellido works on transactional and compliance matters related to physician group services for the hospital network, strategic alignment projects, and issues ranging from governance and bylaws to discipline and due process within the medical staffs at Lifespan hospitals. Human Resources Partner, Lifespan Physician Group, Inc.
Maura A. Goodwin, SPHR® (Senior Professional in Human Resources) is a human resources partner at Lifespan. Previously, she managed human resources services at Gateway Healthcare. Goodwin received her certifications in human resources management from Bryant College and the HR Certification Institute. Goodwin served as vice president of human resources at Gateway beginning in 1998. In 2013, when Gateway joined Lifespan, she managed the human resources components of the integration. In her current role in human resources, Goodwin provides her clients, including the Lifespan Physician Group, Inc. with strategic HR guidance and support. Vice President, Business Development, Lifespan Physician Group, Inc.
Mark Hasbrouck, MS, MBA is Vice President of business development for Lifespan Physician Group, Inc. the largest multi-specialty practice in Rhode Island. 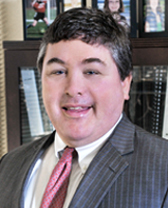 Hasbrouck has devoted his career to financial analysis and strategy development in the health care industry. Before becoming Vice President in 2013, he was senior director of Lifespan’s department of medicine and business development. He was a key member of the steering committee that created Lifespan Physician Group in May 2012. Hasbrouck earned a master's of science degree in accounting and a master's of business administration (finance), both at Bentley College in Waltham, Massachusetts. He is Six Sigma Green Belt certified. 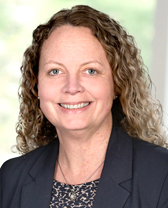 Vice President, Finance, Lifespan Physician Group, Inc.
Laurie Miller, CPA is vice president for finance, Lifespan Physician Group, Inc., the largest multi-specialty practice in Rhode Island. Miller joined Lifespan in 1999 and emphasizes the values of communication and collaboration in leading her department. 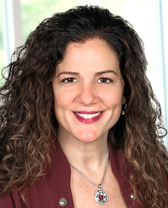 She earned her bachelor of science degree in business administration from Bryant College in Smithfield, Rhode Island and is an associate member of the Rhode Island Society of Certified Public Accountants. 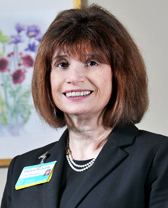 Vice President, Operations, Lifespan Physician Group, Inc.
Patricia Richards is vice president of operations with Lifespan Physician Group, Inc. the largest multi-specialty practice in Rhode Island. She is a seasoned health care executive with extensive experience in hospital operations, physician practice management, ambulatory services, financial management, and strategy development and implementation. Richards assumed her current post after serving as administrative director of professional services at The Miriam Hospital. She earned a bachelor of arts degree at St. Joseph’s College in Brooklyn and a master of arts at New York University in New York City. She is a member of the American College of Healthcare Executives and the Medical Group Management Association.